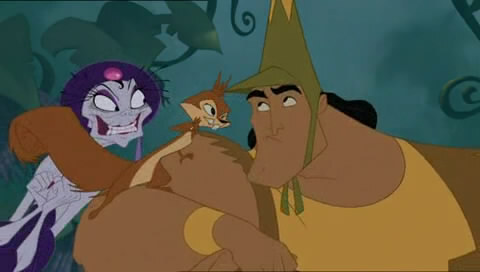 KRONK: I was a junior chipmunk and I had to be versed in all the woodland creatures. Please continue. 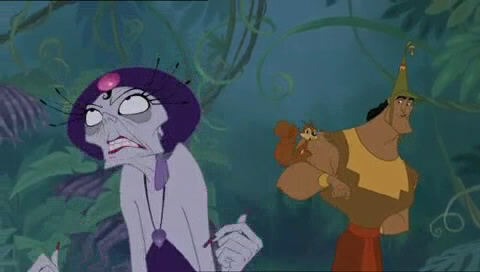 YZMA: Why me? Why me? 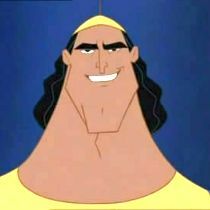 KRONK: Hey, it doesn't always have to be about you. This poor little guy has had it rough. Seems a talking llama gave him a hard time the other day. YZMA: Oh, a talking llama? Do tell. KRONK: Uh, he doesn't really wanna talk to you. 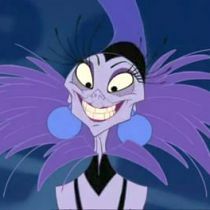 YZMA: Well, then you ask him. KRONK: I hate being in the middle. Squeaky, uh... squeak, squeaker, squeakin'. Jaguars? No kidding? Brutal. Uh, could you give us a little room here? YZMA: Uh, sorry.